More fat-free donuts for your morning tea! 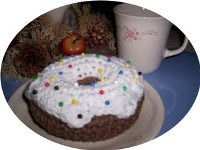 I just love the giant donut thanks for sharing!! !